We have been creating spectacular smiles at our cosmetic dental practice since 1996. Each one of our Orem area smile makeover clients values their new smile almost as much as we value their trust. Working as a cosmetic dentist in Provo is more than just a job. Likewise, a smile makeover is more than straight, white, beautiful teeth – though that’s a big deal in itself! 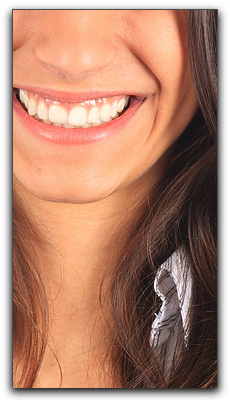 Our cosmetic dentistry clients report that their new smile affects many areas of their life. Some have noticed increased effectiveness in their profession. Others enjoy a richer social life because they are now able to smile, laugh, and eat without self-consciousness. One of our Provo patients who had been embarrassed by his damaged teeth for years says his new youthful smile has given him greater confidence and ambition. 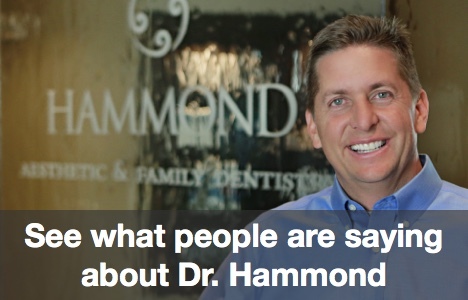 Hello, we’re Dr. Hammond of Hammond Aesthetic & General Dentistry. At our practice, we expertly perform the most advanced cosmetic dental procedures available including teeth whitening, clear braces, dental crowns and bridges, porcelain veneers, cosmetic bonding, gum contouring, and crown lengthening. We also fill cavities with tooth-colored fillings that blend perfectly with your natural teeth. Only need a cleaning? Our hygienists perform the most thorough deep cleanings for our family dentistry clients whose healthy smiles need nothing else. If you don’t currently have a dentist, we invite you to visit our Orem cosmetic and general dentistry practice and discuss your dental goals. To schedule an exam, cleaning, or consultation, contact us today at 801-374-0070.